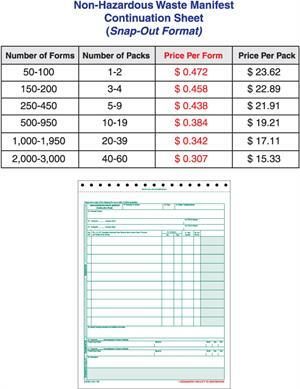 This is the snap-out Non-Hazardous Waste Continuation Sheet form. It is a six part form made with premium carbonless paper. This Snap-Out version of the form can be filled out with a typewriter or by hand. 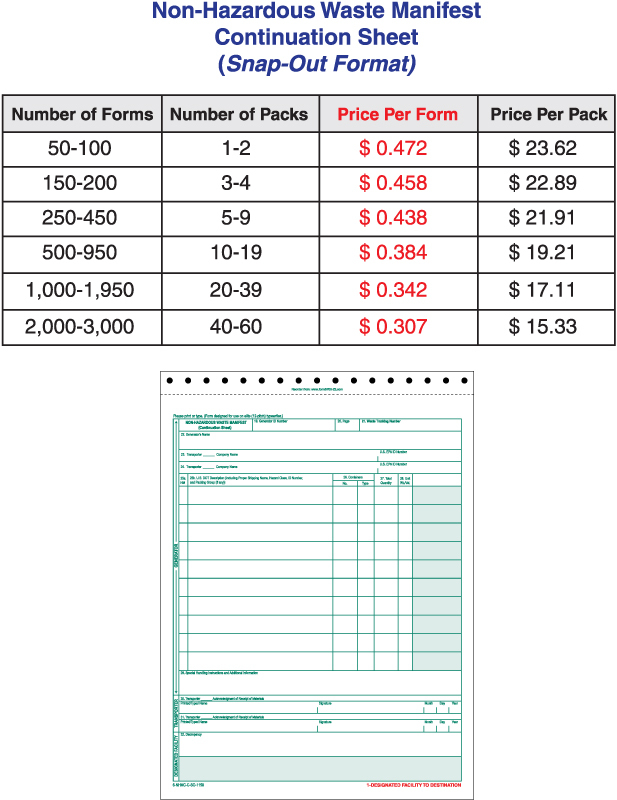 They are sold in packages of 50 forms.They have the same fields and print positions as the 6-part EPA Uniform Hazardous Waste Manifest Continuation Sheet Form 8700-22A (Rev. 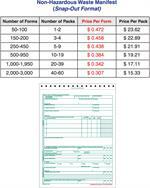 3-05) and new 5-part EPA Uniform Hazardous Waste Manifest Form 8700/22 (Rev. 12-17). We can imprint your company information on your forms! Please contact us for additional information.